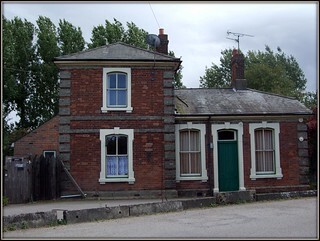 Felsted Railway Station house on the former Braintree- Bishop's Stortford branch line in Essex (UK). The line at this point on the branch closed for good on April 1st 1969. This is now a private house. Although i didn't see it i'm certain the platform on the other side is still there.